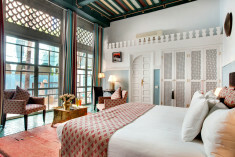 « The soul of a Ryad, the spirit of a hotel » : would be a good way to define the philosophy of the Jardins de la Médina. 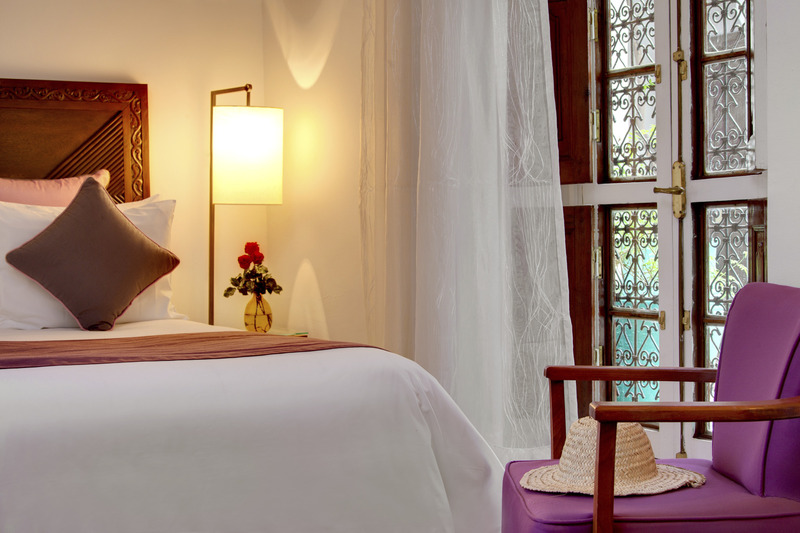 Comfortably set in a traditional and historic building, in the spirit of a true guest house, the property offers all the amenities and services expected of a high-end hotel. 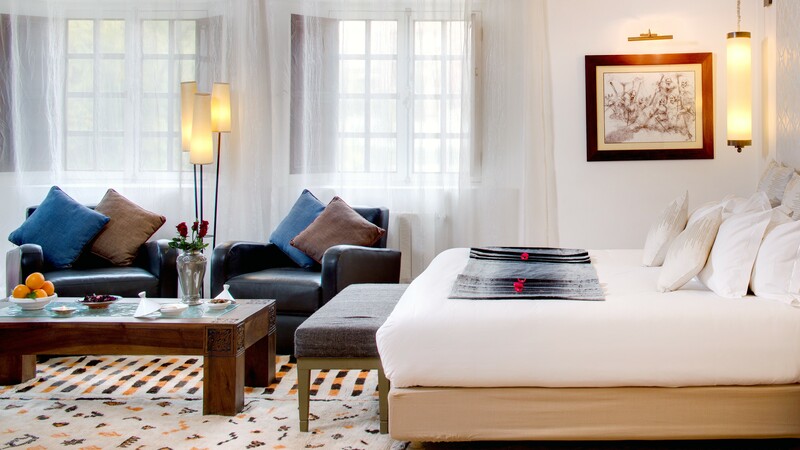 This spirit, along with the quality of service, are confirmed by our affiliation with Hôtels de Charme & Caractère and Les Collectionneurs. 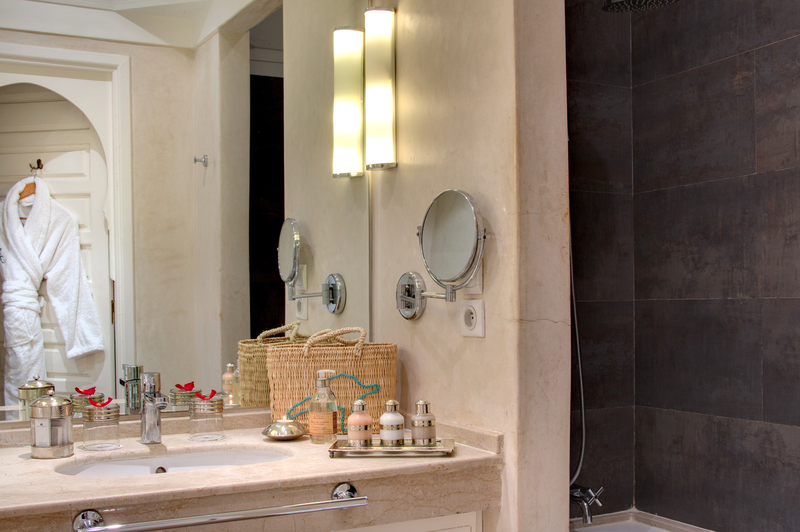 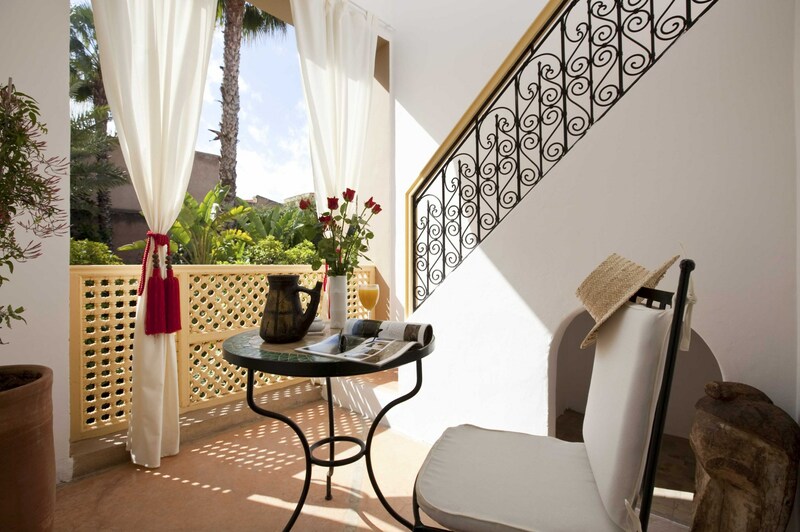 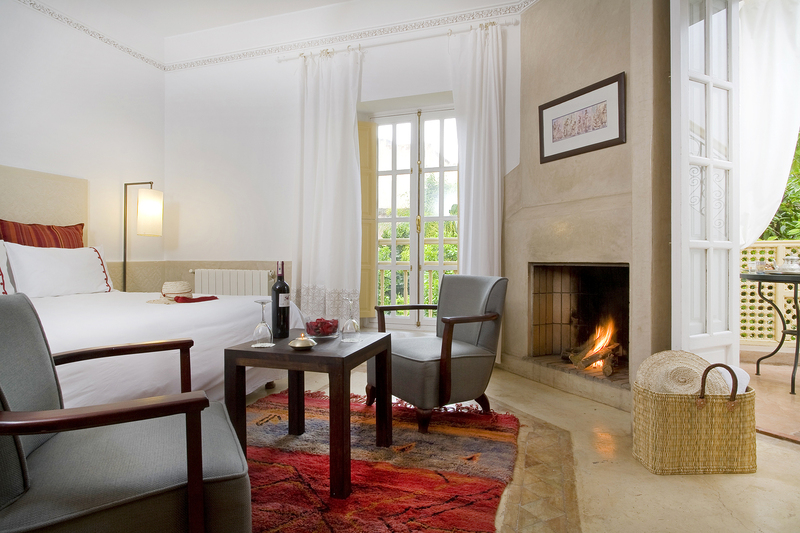 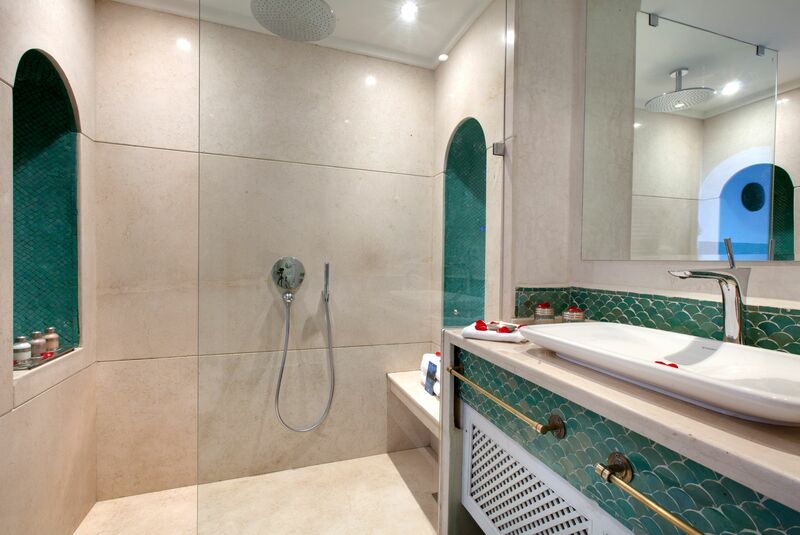 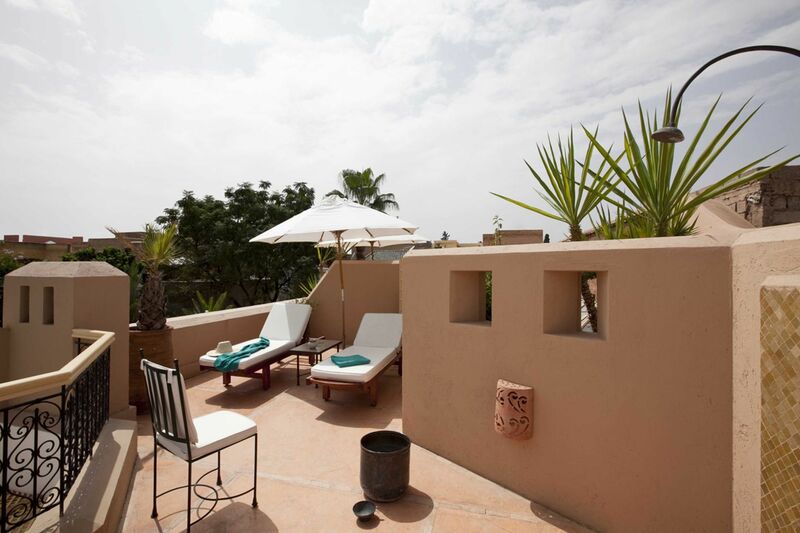 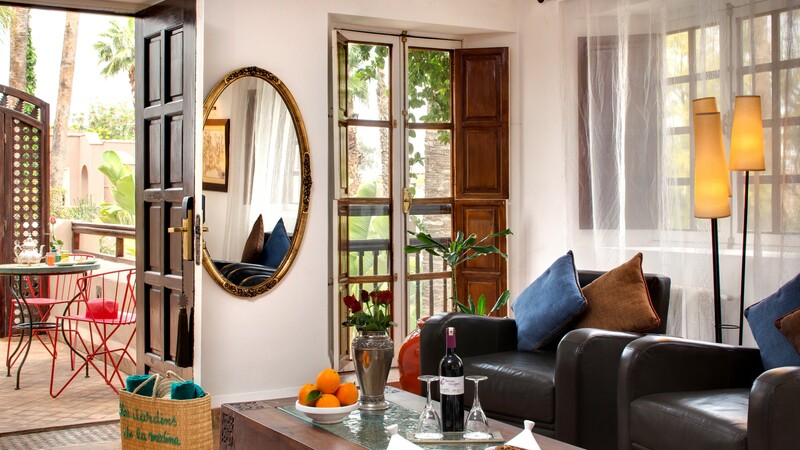 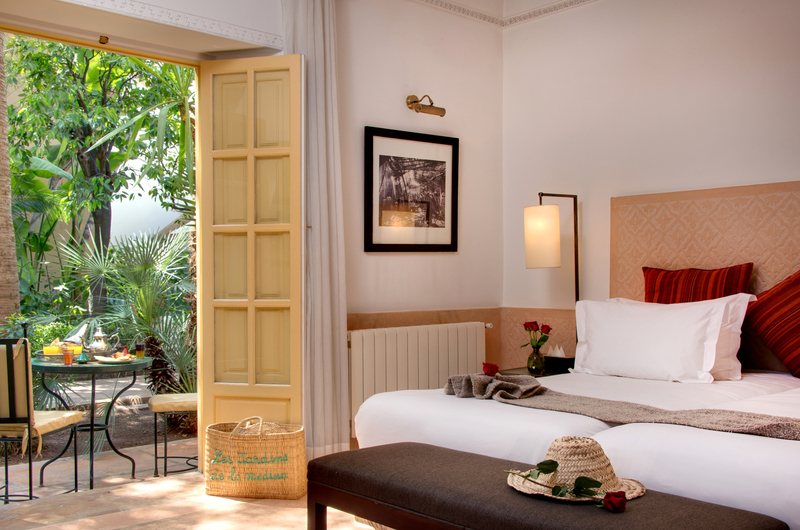 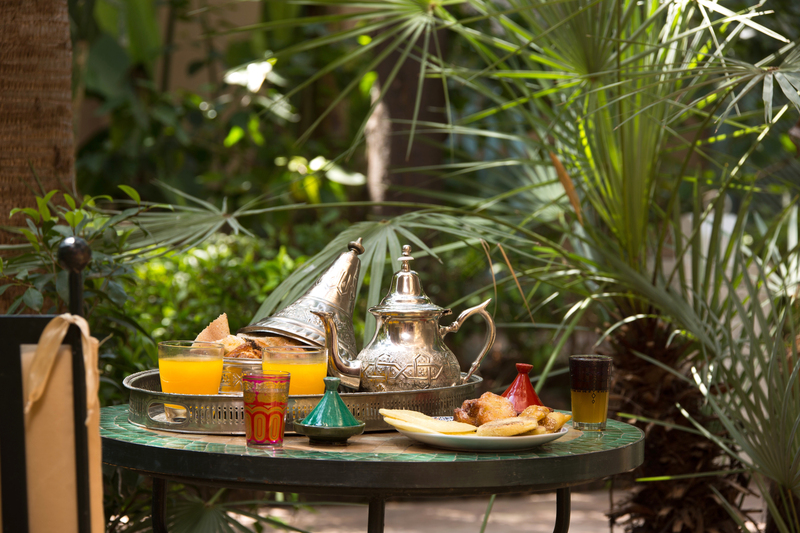 Spend the day at Les Jardins de la Medina and extend your relaxation! 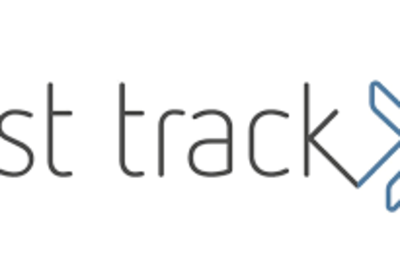 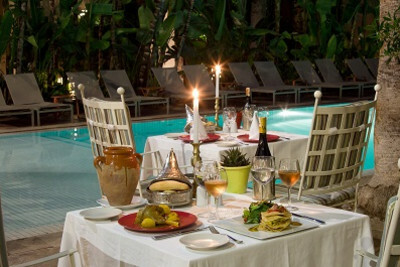 Includes lunch, drinks, pool and massage. 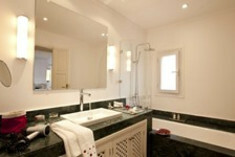 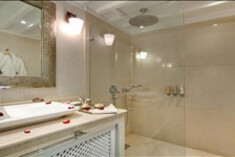 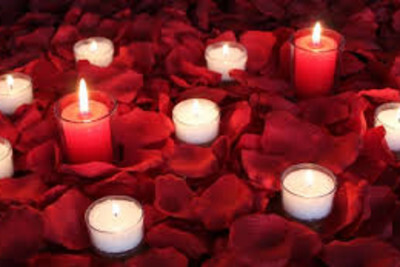 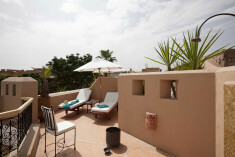 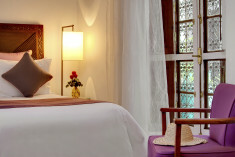 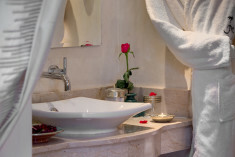 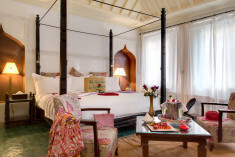 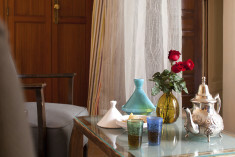 Honeymoon package includes: Romantic welcome, flowers, romantic set up, candle-lit dinner with Champagne, and Hammam. 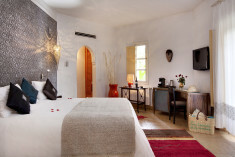 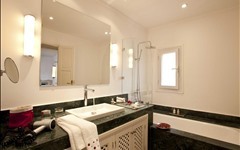 A romantic welcome in the room accompanied by two glasses of champagne at the rate of 36€. 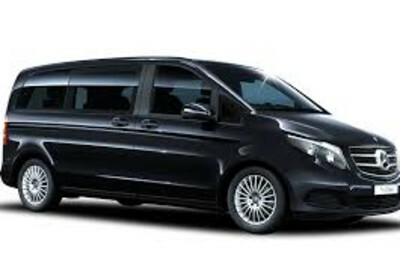 The traditionnel transfert at the rate of 19€ for 2 people. 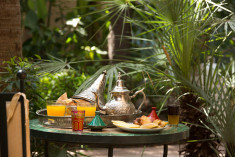 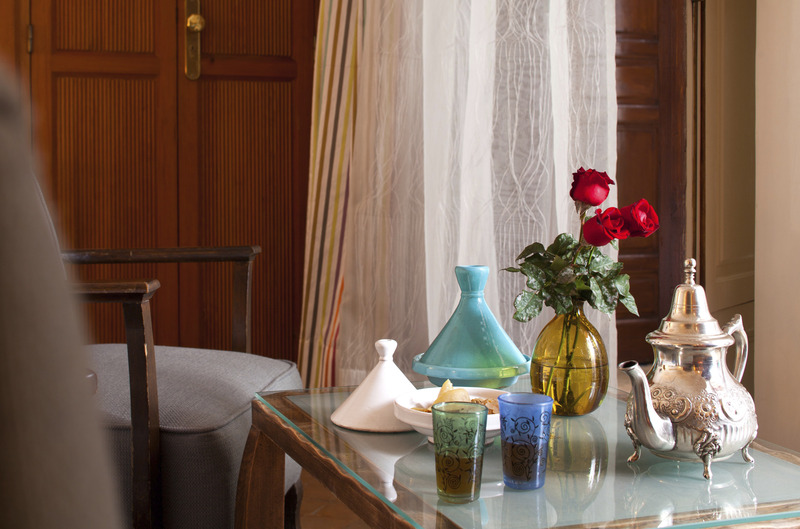 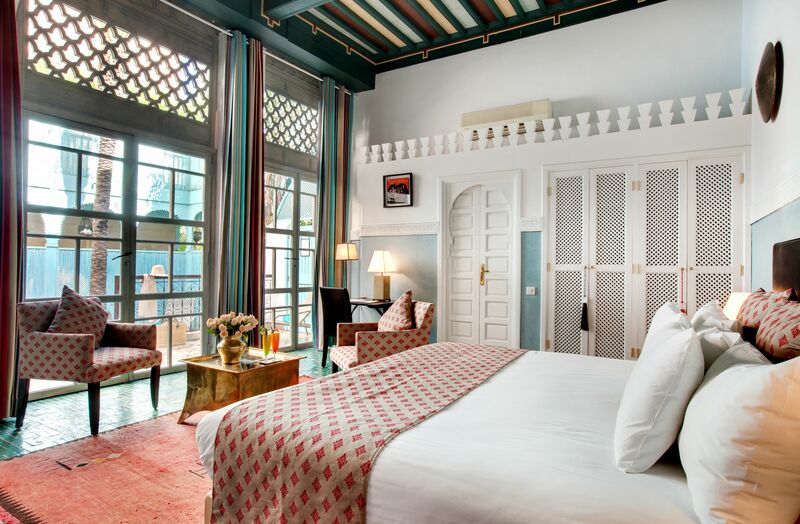 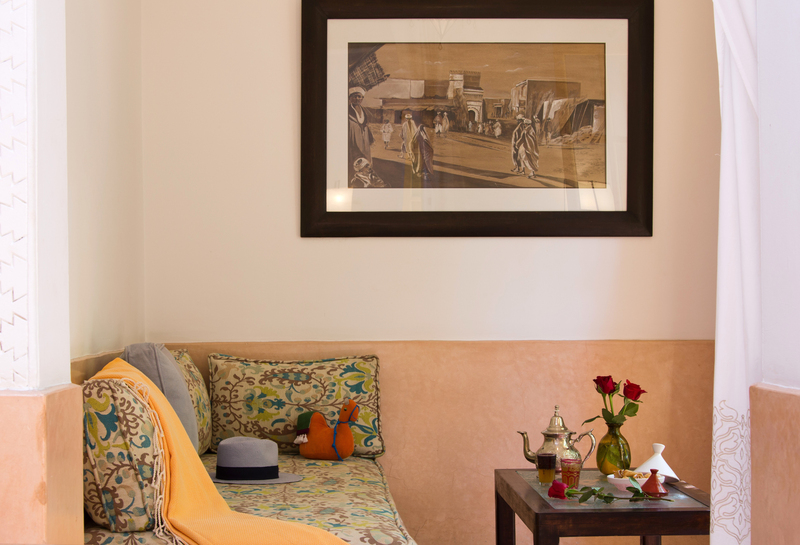 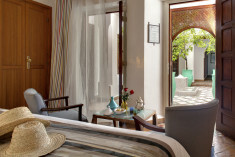 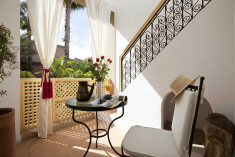 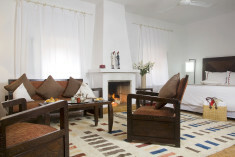 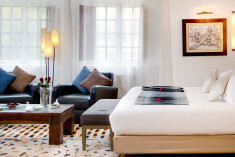 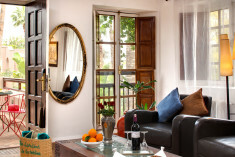 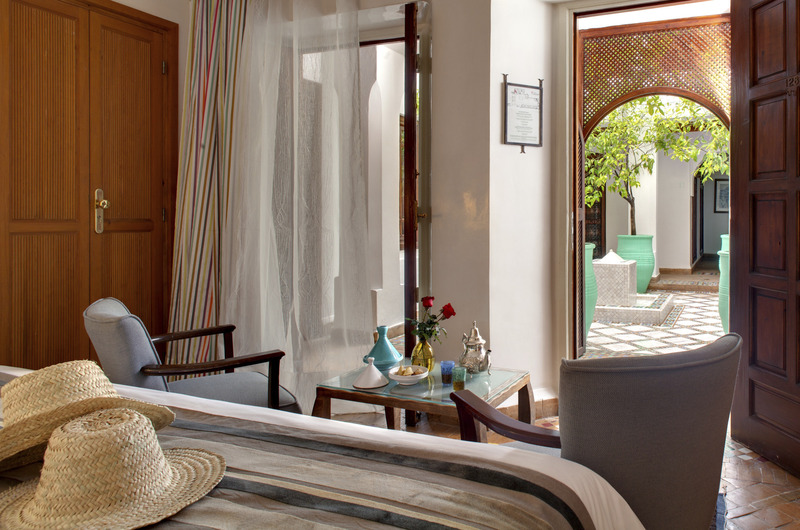 Welcome to our beautiful hotel in Marrakech - please let us know if you have any queries about your stay.